What the passage of time is, long and enduring like tomorrow would never come and then in its passage, the speed at which history takes hold is amazing if not unfathomable. I once lamented where my funny valentine was having just lost one who I so desired to take that place, it was painful knowing the person had passed away just exactly 4 months before. 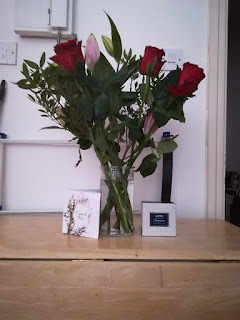 Blog - Where is my funny valentine? Three years later, I wrote about the quest for love and companionship that had so eluded my grasp in many ways I could not understand. Much about love unrequited or the knowledge of what one did not want beclouding what might have been available. In the background, grief still held one back from exploring opportunities, I guess I never found one to lead me into love again. We arrive at another Valentine’s Day with a different story as a journey that appeared to start 9 years before, now has the hold of something meaningfully amazing, for I have found my funny valentine and in him the words of the song brings a reality that I could not even dare to dream when the last season passed without event. In paraphrasing an excerpt of the lyrics to the contemporaneous, we find the truth to something that transcends everything, for love conquers all. My funny valentine, now I know where you are – Sweet comic valentine, so would I like to laugh to the sound of your voice – You make me smile with my heart, such joy you bring. Your looks are laughable, who cares you are the best – Unphotographable, but I see you every day so perfect – Yet you’re my favourite work of art, and nothing can compare to what I adore. Dedicated to my funny valentine, you know who you are.